This is a matt with several uses, but it is not permanent paint. It gives an " edge" to high-key subjects, controls small shadow or highlight areas, and reduces the "see through" in transparent objects. 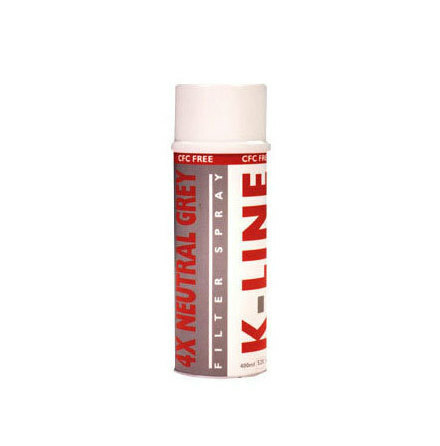 As the name suggests it gives a four times overall neutral cut, it can be sprayed on windows and transparent screens. Used extensivaly in the motion picture and television industries, it is an aid on small locations. Easily removed with a little methyl sprit.